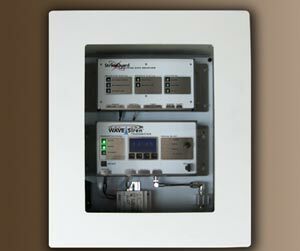 The Wxline Equipment Indoor Bulkhead (WxEIB) provides electrical and environmental protection for the Strike Guard Lightning Data Receiver and WAVE Transmitter. 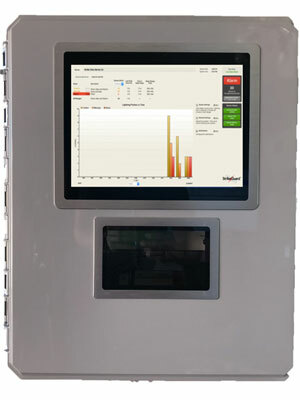 The WxEIB consists of a fiberglass enclosure with a clear viewing window to allow the user to view the status indications of the components without opening the WxEIB. The Wxline Personal Computer is factory installed into the standard Wxline Equipment Indoor Bulkhead (WxEIB) to provide a fully-integrated base installation of the Strike Guard Lightning Data Receiver, WAVE Transmitter and Strike View Software.